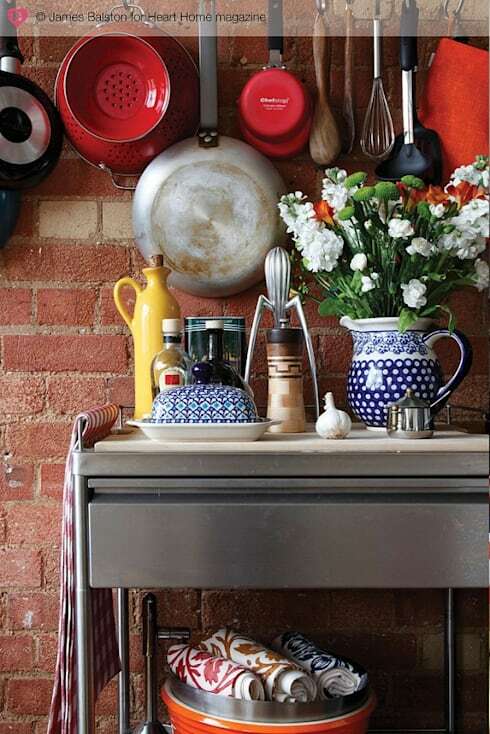 Liven up your rental kitchen! Sprucing up a rental kitchen can seem a little tricky at first. 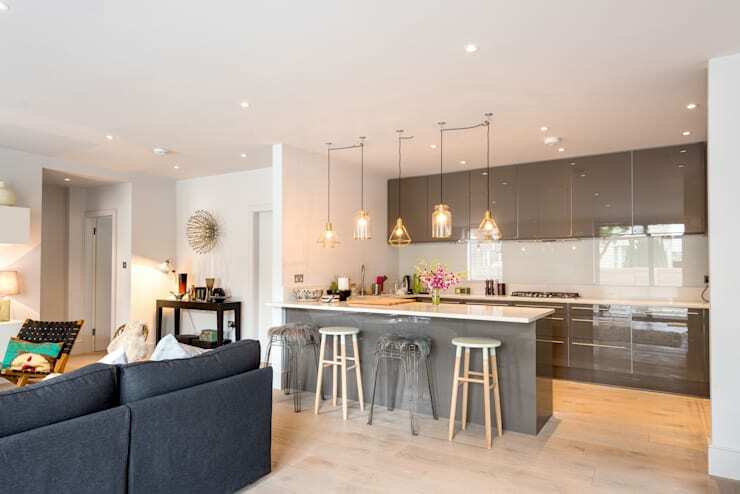 The big decorating choices have already been made for you and the kitchen is usually covered in tiling and storage units. But the great thing about a rental kitchen is that existing cabinets are often quite mute in tone and colour. In a way, it helps to think of your rental kitchen as the blank canvas or background palette. It's just a jumping off point for you to add your more vibrant or personal choices. Because even though you are renting and possibly only there for a short time, it's still your home and there's absolutely no reason it can't be an expression of your personality. You get to choose the textiles, additional furniture, and even the electrical appliances on display. Let's not forget that you can often add artworks to the walls and even upcycle the lighting without making any permanent changes. And if you are interested in small DIY projects, the possibilities are endless. Come with us to explore just a few of the possibilities. The ceiling lights in rental units are often generic types installed by builders. Remove the bulbs and attach a series of string pendant lights. It could be a series of subtle vintage lights like this or a huge feature DIY project complete with upcycled antique items. If you are stuck with recessed lights, consider replacing the standard lights with some coloured lights to jazz things up a little. Household lighting has come a very long way in recent years. Simple strip lights are now cheaply available and don't need any fancy electrical hardwiring. Attach a row of adhesive strip lights to the underside of your kitchen shelves or even within your cabinets. All you need to do is plug them it into a power point for an instant lift. Your cabinets may be a little dull but your kitchen furniture and kitchen accessories doesn't need to be. Look at painting any stools, chairs or even the kitchen table with a bright, glossy lacquer paint. For the best effect it's good to find something that matches the tonal intensity of the existing kitchen cabinets. Kitchen planners say that most people complain about a lack of kitchen bench space. Upsize your rental kitchen by purchasing or creating a little bench on wheels. Perhaps you could even add a couple of decent wheels to an unused small table. If this does become a DIY project, seriously consider adjusting the height of the bench so it matches the rest of the kitchen. This is one upgrade you can hold onto when you move into your next property as well. 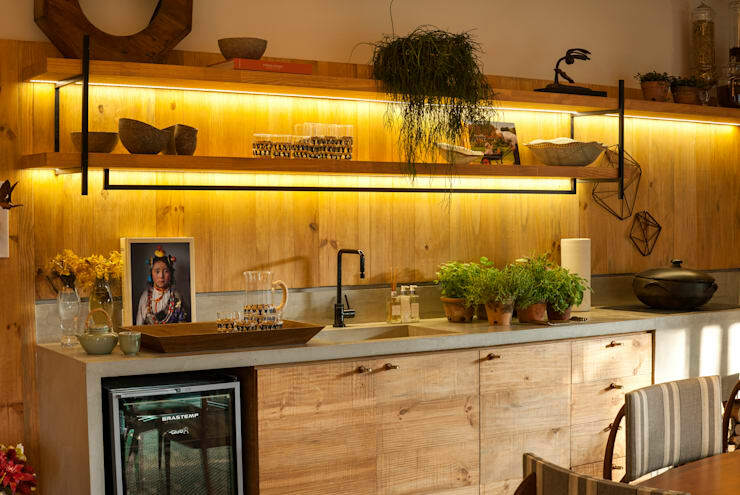 A spectacular plant feature will draw attention away from the existing kitchen cabinetry. 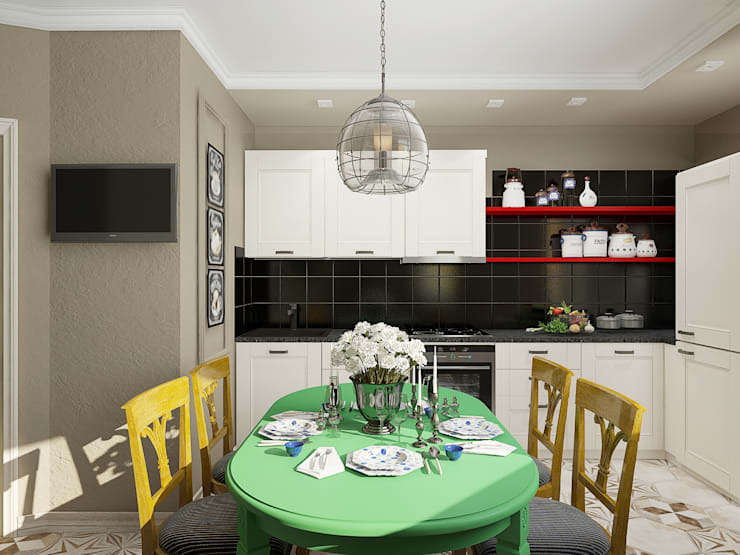 It will add that sense of liveliness and warmth that is such a big part of a great kitchen. If you're stuck for room, look at installing a couple of hanging plants at varying heights for a more natural, jungle-like look. 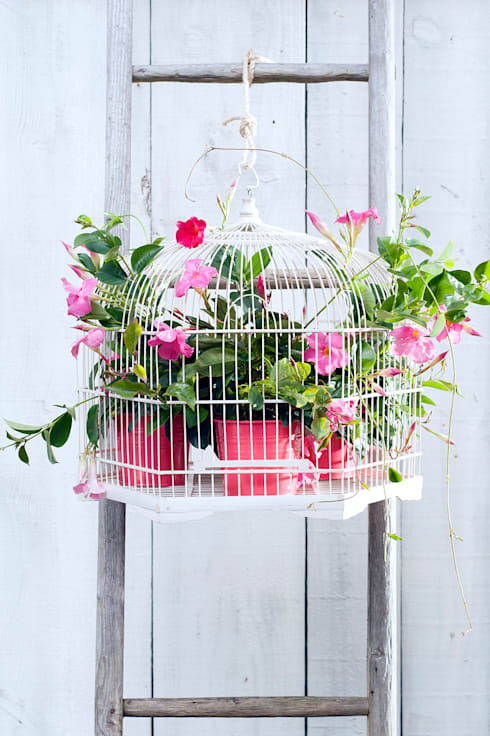 A white birdcage like this would be perfect. Older style kitchens were full of free standing items. 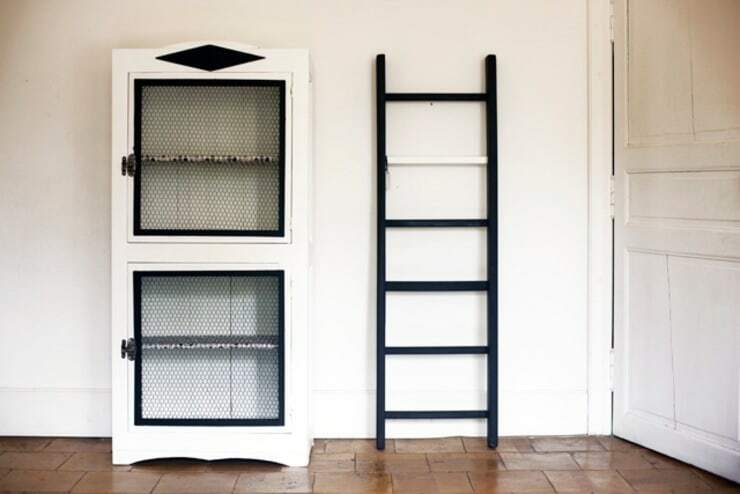 Scour flea markets and online listings for old ladders and kitchen pantries and then restore them to their old beauty or cover them in your favourite colour. The ladder could hold tea towels or even hanging plants. The best part is that you can hold onto these items forever. If you are interested in kitchen ideas, you'll love this Ideabook: Tasty kitchen accessories. What do you think of the rental kitchen decorating ideas here? If you have any more to add, please let us know in the comments field below.